The use of extended infusion beta-lactam dosing strategies is becoming more common and its relevance to clinical practice more relevant in the setting of a limited antibiotic development pipeline. Here, several thought-leaders in the field (Dr. Grupper, Dr. Kuti and Dr. Nicolau) weigh in on the topic. If you work within a hospital in the United States there is a fair chance you are familiar with extended-infusion piperacillin-tazobactam (Zosyn), whereby the drug is infused over three or four hours, instead of infusing it over 30 minutes (i.e., as an intermittent-infusion). The motivation behind the widespread use of longer piperacilin-tazobactam infusion times is multifactorial (e.g., microbiologic, economic), however a major reason for the different infusion strategy is to attempt to kill more bacteria and improve patient outcomes. Since beta-lactam antibiotics (i.e., penicillins, cephalosporins, carbapenems) are time-dependant killers of bacteria, the longer the antibiotic concentration at the site of infection is above the bacteria’s minimum inhibitory concentration (MIC), the more killing is achieved. Infusing the same dose of an antibiotic over 3 hours instead of 30 minutes will indeed lower the peak concentration achieved, but that is acceptable when the goal is to achieve sustained adequate concentrations rather than extremely high concentrations (which is desired for antibiotics that are concentration-dependent killers). Beyond intermittent and extended infusions, some beta-lactam antibiotics may also be given via continuous infusion (i.e. over 20-24 hours). At present, the drug discovery pipeline for antibiotics is limited. In turn, clinicians have become very interested in how to utilize novel infusion strategies to optimize antibiotic dosing for sick patients (particularly for those with invasive infection due to Gram negative bacteria). Recently, several thought leaders in this field published a paper in Clinical Microbiology Reviews on the topic of continuous and prolonged intravenous beta-lactam dosing, focusing on implications for the clinical laboratory. This publication can be found here. Given their expertise in this area and the importance of various beta-lactam dosing strategies to the field of infectious diseases and antimicrobial stewardship, I reached out and requested an interview. They accepted and the following 5 questions were posed. It is intended that readers will obtain a greater understanding of this topic through review of these responses. 1. How important are extended and continuous infusion strategies of beta-lactams to the practice of medicine today? In the face of increasing bacterial resistance rates seemingly unchallenged by the pipeline of antibiotic development, a top priority is to maximize the tools already available to us, which is exactly what prolonged and continuous infusion strategies of beta-lactams may do. 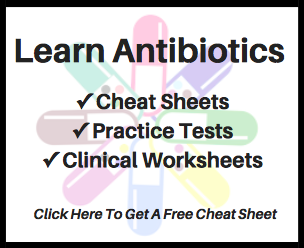 Beta-lactams have proven to be efficacious and safe antibiotics over their history, and as a result, these drugs are typically among the most commonly prescribed in the hospital setting. When used appropriately in the right patient population, administration of beta-lactams as prolonged or continuous infusions will maximize antibacterial effects and potentially expand the repertoire of a given beta-lactam to include coverage of bacteria that are defined as resistant to that agent. As a result, we believe this administration strategy is a very important and worthwhile intervention for consideration today. 2. What should pharmacists know about how the clinical laboratory can support the use of prolonged or continuous beta-lactam infusion dosing strategies? 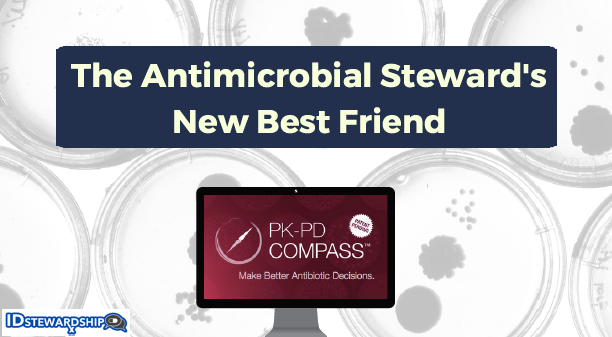 Firstly, the clinical laboratory should be an essential collaborator when determining the optimal use of any antibiotic, including prolonged or continuous infusion beta-lactams. Find them and get them involved. Second, when a prolonged or continuous infusion dosage strategy is implemented in the hospital, the clinical laboratory should be aware and ready to provide MIC results for the pathogen. Ideally, this should be available in real time using the automated susceptibility testing (AST) system, or via E-test. The laboratory staff, providers, and pharmacists should be aware of the MIC ranges capable of being tested because not all AST devices are able to provide full range MICs. Alternatively, if MIC data cannot be provided in real time, a collection of organisms can be reserved and tested at once to derive a MIC distribution for the prolonged or continuously infused antibiotic so that it’s dosing regimen may be optimized. Lastly, therapeutic drug monitoring (TDM) can be accomplished for many antibiotics aside from the typical agents, vancomycin and aminoglycosides. Check with the chemistry laboratory to see if and how an assay can be set up for targeted beta-lactams. This service is described in the literature and would provide a tremendous value to optimizing the pharmacodynamics of these antibiotics. 3. Is it always necessary to use a loading dose when electing to use a beta-lactam via an extended or continuous infusion? Although this specific question has not been evaluated in randomized clinical trials, there is substantial rational and simulation based data to support the use of a loading dose in in certain scenarios. First, it is imperative that target drug concentrations are reached quickly. For beta-lactams, that is at least getting concentrations above the MIC for the pathogen at the site of infection. A continuous infusion strategy would increase the concentrations slowly and therefore, a loading dose is recommended to obtain these high concentrations immediately. Clinical trials with continuous infusion beta-lactams have often included a loading dose up front, which is typically a standard intermittent dosage administered over 30 minutes. The data with prolonged infusion beta-lactams, in contrast, are not as straight forward. To our knowledge, all observational and randomized prospective studies with prolonged infusion beta-lactams (e.g., piperacillin/tazobactam, meropenem, doripenem, etc.) have not required a loading dose to be administered, so the short answer would be ‘no’, a loading dose is not needed for prolonged infusion regimens. However, a simulation study with piperacillin/tazobactam and meropenem observed that a 3 hour infusion of meropenem 1 gram would obtain concentrations above the susceptibility breakpoint (i.e., 2 mcg/ml) within 12 minutes for 90% of the population, whereas, it took 96 minutes for a 4 hour infusion of piperacillin/tazobactam 3.375g to reach its breakpoint in 90% of the population. These data suggest a loading dose would reduce the time to achieve super-MIC concentrations with piperacillin/tazobactam. There are no data, however, that suggest patients will do better if this duration is reduced. We believe that further studies in this area are still needed. 4. Are there any scenarios where a continuous beta-lactam infusion (i.e., over 20 to 24 hours) is likely to provide a clinical benefit over a prolonged beta-lactam infusion (i.e., over 3 to 4 hours)? The bactericidal effect of beta-lactams relies on achieving a free drug concentration above the bacterial MIC (ƒT>MIC) throughout approximately 40% to 70% of the dosing interval, depending on the beta-lactam. Prolonged infusions will achieve that goal. Continuous infusions can extend the ƒT>MIC to 100%. There are some limited clinical data that certain patients (e.g., febrile neutropenic patients) may benefit from 100% T>MIC exposures, but this is not widely established. As long as adequate T>MIC is achieved, it should not matter how the exposure gets there (continuous or prolonged infusion). From a different perspective, however, one infusion strategy may be more appealing on a patient to patient level. For instance, in patients with insufficient line access and the need to administer multiple intravenous medications, allowing some antibiotic free time with the prolonged infusion strategy could be preferred. However, patients receiving outpatient parenteral antimicrobial therapy (OPAT) may prefer a continuous infusion via a continuous ambulatory delivery device (i.e., CADD pump) where they only have to intervene and change out the drug once daily. 5. Looking to the future, what are the top areas where more research is needed within this field? Although prolonged and continuous infusion strategies of beta-lactams have been recognized for almost as long as their intermittent infusion strategies, there are still some unknowns. Although we know that this strategy will benefit the sickest patients with the highest MICs, the advantages in less severely ill patients, or those with very susceptible pathogens, are not as well established. For this reason, many hospitals have difficulty justifying the implementation of prolonged or continuous infusion beta-lactam strategies in their hospital, particularly outside of the intensive care unit. Randomized, controlled, double-blinded clinical trials focusing around multidrug resistant infections, both inside and outside the intensive care unit, are still therefore still needed. Additionally, data regarding the use of prolonged or continuous infusion dosing strategies in patients with moderate to severe renal dysfunction, including those receiving continuous renal replacement therapies (CRRT), would be helpful to determine if beta-lactam exposure in these challenging patients can be improved. Finally, a patient/pathogen individualized approach, where the antibiotic dosing regimen is tailored based on the specific MIC, perhaps the organism genotypic profile, and the patient’s pharmacokinetics, appears to be the future, but we have a long way to go before we get there. Dr. Grupper earned his M.D. from Ben-Gurion University in 1995. He completed a residency in internal medicine in Rambam Medical Center, and a fellowship in infectious diseases in the Bnai Zion Medical Center. He served at various positions as a military physician, as a senior infectious diseases clinician for the inpatient infectious diseases service at the Bnai Zion Medical Center, and as a faculty member in the Technion Israel Institute of Technology medical school. During his 8-year career in the infectious diseases field, his main interests are in optimizing treatment of patients with infectious diseases, hospital epidemiology, and travel medicine. Dr. Grupper is currently a research fellow at the Center for Anti-Infective Research and Development, Hartford Hospital, where he is involved in basic and clinical research projects that have direct clinical implication. Dr. Nicolau is the Director of the Center for Anti-Infective Research and Development at Hartford Hospital in Hartford, Connecticut. After graduating from Northeastern University, he completed a residency in hospital pharmacy at Boston University Medical Center. He received his Pharm.D. from the Medical University of South Carolina and completed a residency in adult internal medicine at the university’s affiliated hospital and a fellowship in Infectious Diseases at Hartford Hospital. Over 25 years his research efforts have spanned from preclinical drug development studies assessing in vitro potency, in vivo efficacy and toxicity profiles of novel compounds to Phase I – IV clinical studies. Also widely recognized for his efforts in the clinical arena focusing on the development of antimicrobial utilization strategies to improve outcomes and reduce the cost of care. These efforts have been reported in over 600 publications, 425 abstracts and 1,000 local, national or international presentations. Dr. Kuti received his Bachelor of Science and Doctor of Pharmacy degrees from Rutgers University, College of Pharmacy in Piscataway, New Jersey. While completing his doctorate, he served as a clinical pharmacist for the medical and surgical intensive care units at Robert Wood Johnson University Hospital in New Brunswick, New Jersey. He then completed a post-doctorate fellowship in Antibiotic Management and Pharmacoeconomics at Hartford Hospital. For the last 14 years, Dr. Kuti has served as Associate Director of Clinical and Economic Studies at the Center for Anti-Infective Research and Development at Hartford Hospital in Hartford, Connecticut. Dr Kuti’s primary area of research includes the pharmacokinetics, pharmacodynamics, pharmacoeconomics, and outcomes of antimicrobial therapy in severe infections.